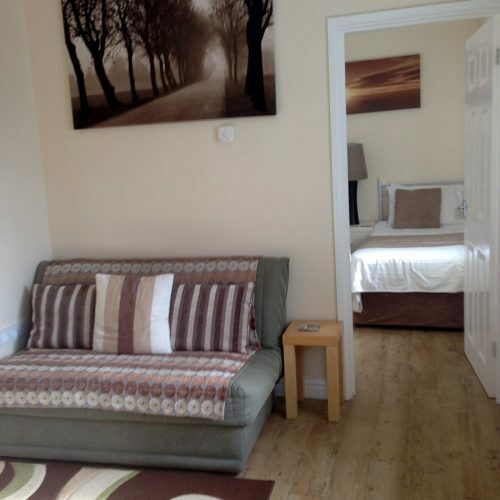 Our great apartment style accommodation are the perfect place to relax or work. 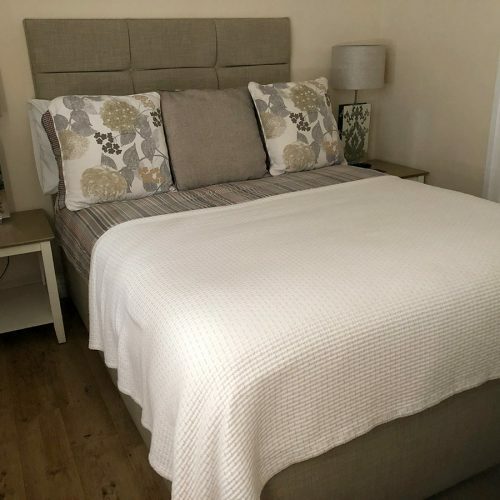 Newly built and furnished in a designer fashion they are a true home from home, you will feel great relaxing in the comfort of the plush bed or sofa. 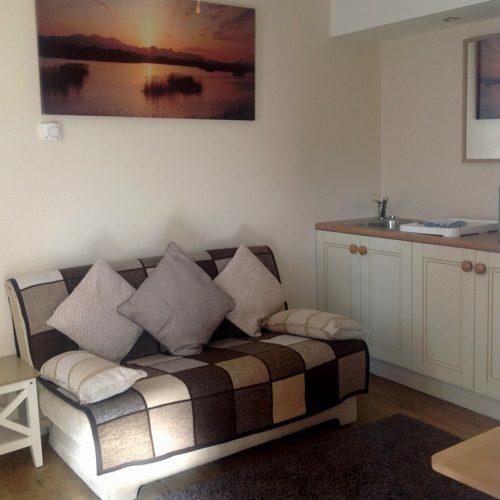 All rooms are fully self contained with integrated kitchen area, we provide you with a kettle, fridge and microwave, we even give you tea, coffee, cups and a sink to wash them in. If you would like a meal you can grab a bar meal in the lounge bar. Prices are based on a room only basis, but we do give you a discount if you fancy a fabulous cooked breakfast. 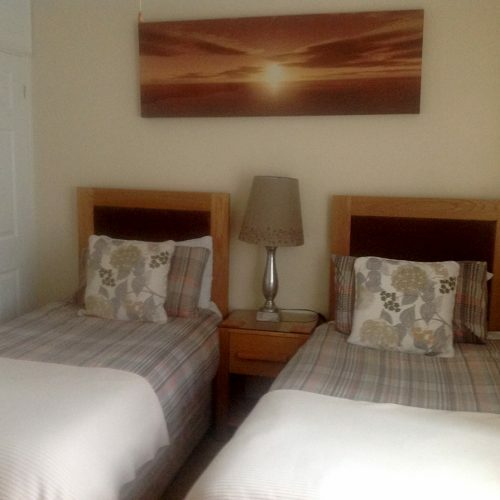 The accommodation comprises of two rooms, a bedroom, a kitchen/living area, which also has a sofa-bed for extra guests, and an en suite shower room. Great features like Flat Panel Tv’s and ceiling fans make it an enjoyable place to stay. Earliest check in is 3.00pm and latest check out is 10.00am. If you would like to book your room by phone, please call us on 01392 881752. You can book your room online by selecting from the options below.